Top View of MacBook Workspace. 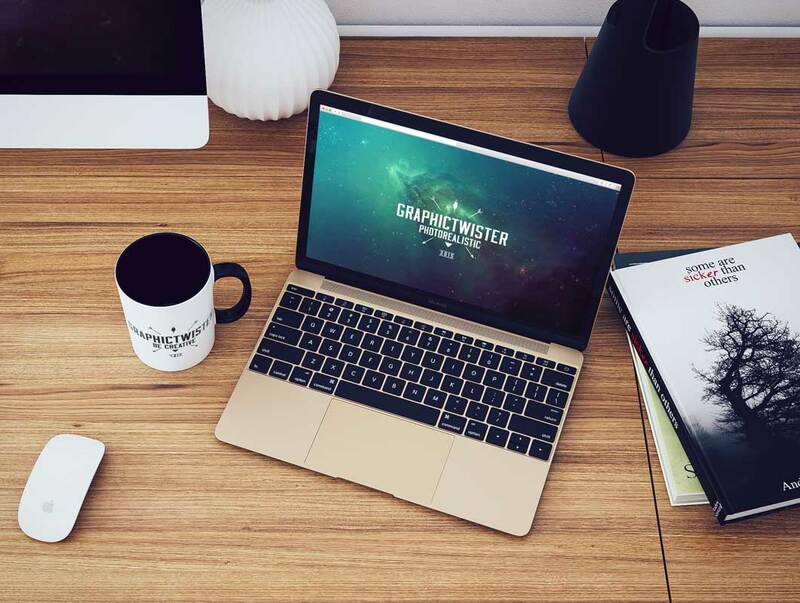 You can use the mockup to show case your design or presentation on new MacBook 2016 . Add your image inside the smart object and enjoy you work in modern interior. Use also cup mockup.